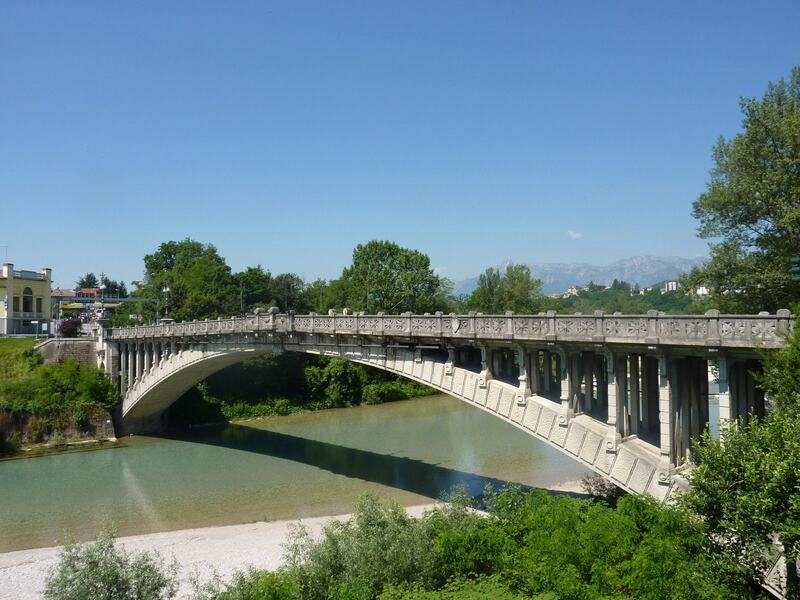 Built between 1923 and 1926 by the Venetian Eugenio Miozzi ( 1889-1979) to replace the previous bridge, further up river of which only the first arch still remains. It was built from 1837 to 1841 by Antonio Zilli and collapsed in 1882. Inaugurated on the 23rd of May 1926 by King Vittorio Emanuele III. The decorative elements are by the Bellunese architect Riccardo Alfarè (1882-1969).